DNS (Domain Name System) can be described as a system that translates a domain name into an internet protocol address (IP). DNS is used every time you choose to surf the Internet. Computers use IP addresses to communicate with each other. When you type a web address into a browser, the DNS translates that address into an IP address, which takes some time. Many internet service providers offer free public DNS servers, while most of them perform the translating process slowly. Services like Netsweeper DNS make this process faster. Our product offers fast DNS products/services to make your customer’s experience enjoyable. The Netsweeper Powered DNS Filtered Technology is a scalable, reliable, and managed authoritative DNS service that is enabled in the Netsweeper 5.1 platform and beyond. The service provides a low latency, high availability and is a cost-effective way to make Netsweeper policy enforcement and services available to your users. The service translates requests for domain names like www.google.com into IP address 74.125.29.101. Using Netsweeper’s Filtered DNS service is simple. To configure the service, all that is needed is a change in the IP addresses for DNS. This can be done by accessing the Internet settings of your router. Once the router is accessed, simply change the IP addresses for DNS. Once this is completed, you will be granted the security and filtering provided by the DNS service. By utilizing Netsweeper’s filtering solutions, you can gain additional revenue for your company while creating a safe and enjoyable Internet experience for your customers. We offer value added resellers, telecoms, and ISPs the ability to resell our solutions by bundling our DNS filtering into existing services and packages. As a reseller of our DNS services, we provide you with your own white label commercial-grade service. You set the price of the added services and reap the benefits. By collaborating with Netsweeper, you will gain an ongoing opportunity to capture recurring product sales from satisfied customers. In short, we provide channels an embedded high-performance DNS module to provide to their customers. 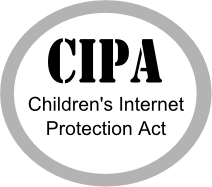 CIPA Stands for the Children’s Internet Protection Act and was enacted in 2000. Schools and libraries subject to CIPA must have a certified Internet Safety Policy in place to receive discounts through an E-rate program. By bundling our fully CIPA compliant DNS with your existing services, you can tap into the educational market, offering a crucial service to customers. Per the U.S. Department of Health and Human Services, the Health Insurance Portability, and Accountability Act of 1996 (HIPAA) includes provisions that require Health and Human Services to abide by National standards for electronic health care transactions and code sets, health identifiers, and security. Current or future customers in the healthcare industry can benefit from our industry leading DNS services. By bundling our DNS service with your existing offerings for healthcare, you can provide greater value to your customers and increase satisfaction. Our advanced DNS web filtering system protects families against all threats and dangers available on the Internet and is the simplest way for parents to keep their children safe online. Our service blocks inappropriate sites with precision, ensuring optimal protection for all Internet connected devices including gaming consoles, laptops, smartphones, and tablets. Our solution can be set up within minutes, so your clients do not need to worry about installing Internet filtering hardware or software. This DNS solution can protect any device connected to the Internet including computers, gaming consoles, and WI-FI connected devices. The Internet has become an important tool in classrooms around the globe. At the same time, students are more connected on social media today than ever before. This can lead to an unproductive school learning environment if steps are not taken to secure the Internet. We offer internet filtering specific to schools, universities, colleges and libraries. Our solution helps to control students’ internet access, ensuring a safe and productive web experience. Our DNS solutions protect your customer’s network from botnets, malware and phishing websites. In addition, full CIPA compliance can always be associated with our website blocker and school web content filtering system. Our DNS filtering services work to protect businesses and improve employee productivity. The URL filtering system blocks all dangerous, malicious and inappropriate websites with precision. With us, you can provide your customers with centralized protection and management for a decentralized Internet infrastructure. Installation can be completed within minutes and without any changes to the customer’s network, providing instant protection to their business and valuable assets.